Held last week at the Hong Kong Convention and Exhibition Centre, the annual Lui Che Woo Prize presentation ceremony marked the third year of the prestigious international award, which recognises cross-sector leaders who've contributed to three main objectives: sustainable development of the world, betterment of human welfare and enhancement of positive energy. The ceremony was joined by VIP guests including Hong Kong Chief Executive Carrie Lam and CPPCC vice-chairman Tung Chee-hwa. 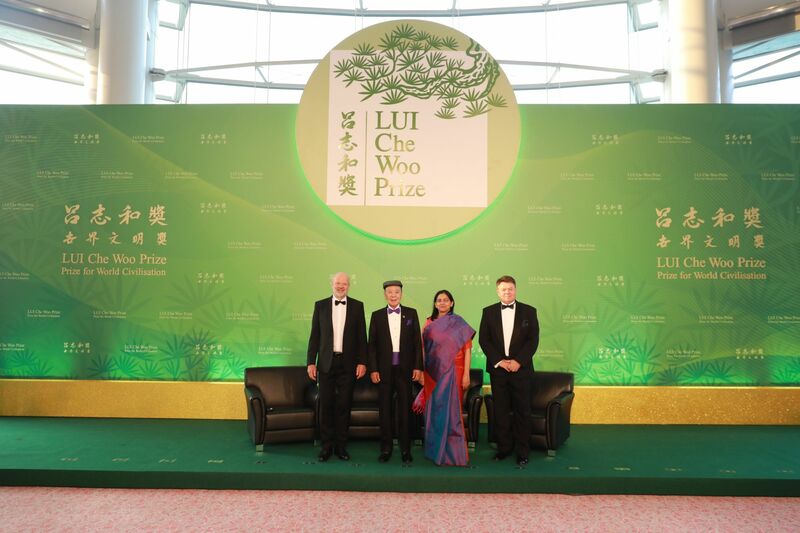 “The three laureates this year share the same vision with the Lui Che Woo Prize. They not only believe in making a better world, but also overcome difficulties with courage, wisdom, and selflessness. They are role models in their fields and have greatly contributed to the world; inspiring more people to participate and jointly create our future." Globally recognised for his endeavours to promote renewable energy, Fell is an environmental pioneer since the 1970s. He successfully pushed for the adoption of the Renewable Energy Act in German Parliament, which was then replicated over 100 times worldwide. A specialised agency of the UN, WMO plays an important role in the safety and welfare of humanity by facilitating free and unrestricted exchange of data and information, products and services in real- or near-real time on matters relating to sustainable development, disaster risk reduction and climate change mitigation and adaptation on a global scale. As one of the largest non-governmental organisations in India, Pratham Education Foundation is changing the education landscape across 23 states and union territories, reaching millions of children each year. With a focus on high-quality, low-cost interventions, Pratham addresses gaps in the education system through innovative models and result-driven methods. Lui Che-woo Staunch philanthropist; founder of the K Wah Group; chairman of Galaxy Entertainment Group. Carrie Lam Lifetime civil servant and government official who became the first female Chief Executive of Hong Kong. Tung Chee-hwa Became Hong Kong’s first Chief Executive in 1997.